Explain this joke to me. 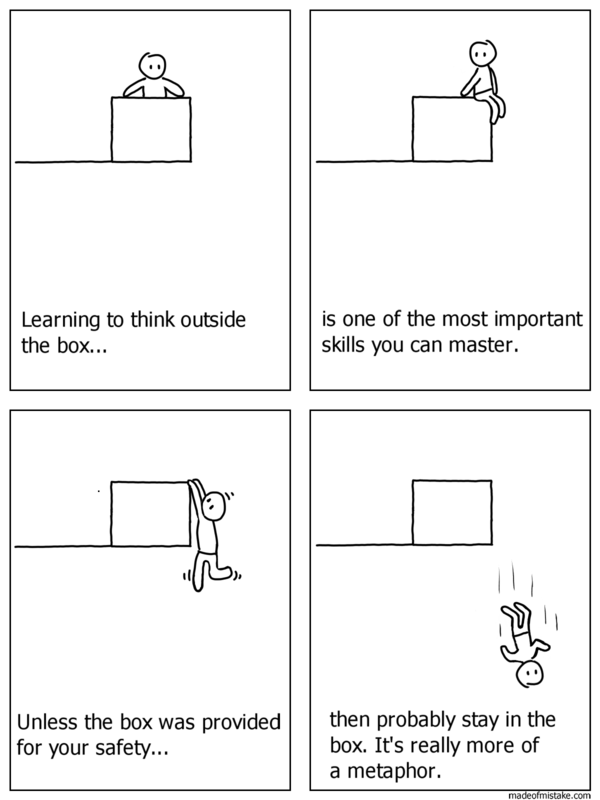 A Thinking Box was originally known as a Jack-in-the-Box. It was created to remind us of the terrifying suddenness of insight.